If you have a “gummy” smile, the cause may not be short teeth, but too much gum tissue covering your teeth. To correct this, we can reshape excess gum and bone tissue to expose more of the natural tooth. 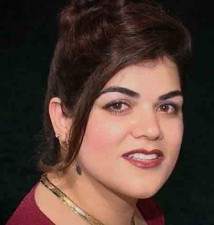 Crown lengthening can also make certain restorative or cosmetic procedures possible. 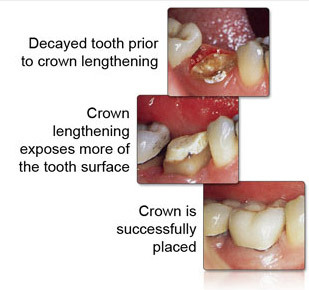 If your tooth is decayed, broken below the gum line, or has insufficient tooth structure for a restoration, such as a crown or bridge, crown lengthening can be performed to expose more of the tooth so it can be restored.